Affy Tapple, the creator of The Original Caramel Apple, is a Chicago and Midwest tradition since 1948. Putting the "fun" in fundraising, we take pride in our rich tradition of helping students and organizations meet fundraising goals selling Affy Tapple Caramel Apples and Caramel & Chocolate Treats for over 50 years. Serving as decade-long partners with Chicago and suburban schools, PTOs, sports teams, and student clubs, Affy Tapple has helped raise millions of dollars in fundraising campaigns. People love & wait for Affy Tapple season. Our parents and kids get really excited for Affy Tapple. 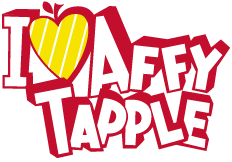 Affy Tapple is our annual fundraising tradition!